Over the past two days, representatives from the branch have been attending the biennial US Western Zone Convention in Pala, California. Below is a group picture taken at the end of the second day. This entry was posted in International Western Zone and tagged International Western Zone on October 2, 2017 by Michael K. Barbour. Please note this announcement from US Western Zone leadership. – Opening Ceremony and Remembrance Service 8;00 p.m.
– Exec. Meeting at 9:00 am. – Trustees Meeting at 10:00 a.m.
– General Meeting Morning Session at 11:00 a.m.
– Afternoon session at 2:30 p.m.
– Evening drinks at 6:30 p.m.
– Dinner at 7 :15 p.m. I hope that you have already set the dates on your calendars, and that you plan to attend, it is VERY IMPORTANT that you do. This is a very nice location so not only will you do our Legion business, it is also quite a social event so make your plans and give yourself a mini-vacation at the same time. More details to come later but the Pala Casino Spa & Resort are ready to take your reservations and I will be pleased to receive your dinner res and meal selection with you ck. This entry was posted in International Western Zone and tagged International Western Zone on April 19, 2017 by Michael K. Barbour. This is a personal and individual request to YOU to mark your calendar NOW with these important LEGION dates and events. I ask you to make that special effort and commitment to be in attendance. I do of course understand that your local Branch functions, event distances, travel restrictions and cost do apply, but it is very important that YOU and YOUR BRANCH MEMBERS attend and that we have ALL BRANCHES represented at Zone Convention on 1st and 2nd October 2017. 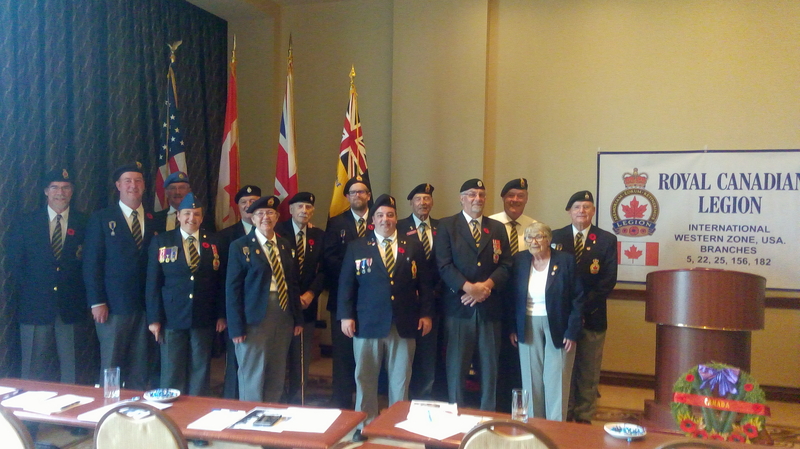 Good of the Legion Funds may and should be allocated and used to assist Branch Members attendance at Convention. Sunday 21 May 2017 2:00 p.m.
Monday 29 May 2017 10:00 a.m.
Sunday evening Opening Ceremony-Service 8:00 p.m.
Monday 9:00 a.m. EC Meeting. General Meeting 11:00 a.m. Afternoon General Meeting at 2:00 p.m. Drinks @ 6:30 p.m. – Dinner @ 7:15 p.m. This entry was posted in International Western Zone and tagged International Western Zone on March 29, 2017 by Michael K. Barbour.